By Amy on June 27, 2016 Leave a Comment. This content contains affiliate links. As an Amazon Associate I earn from qualifying purchases. These days, we are hurried, scheduled, and busier than ever. 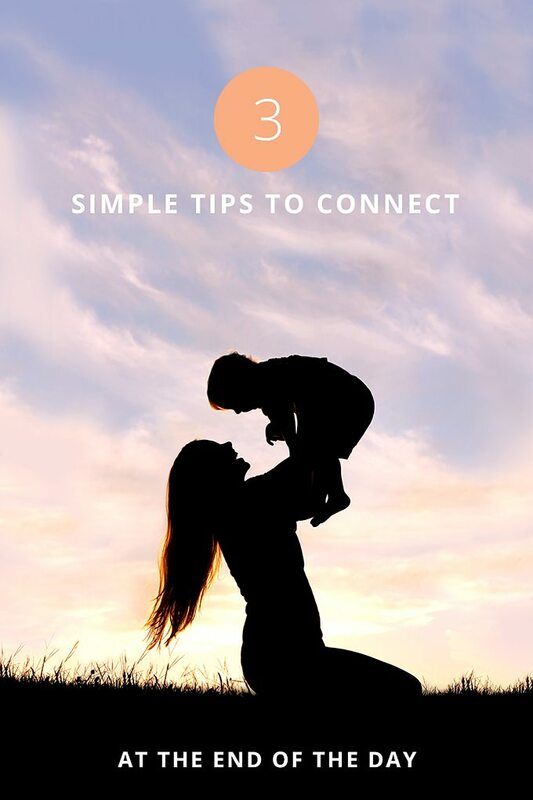 If you fantasize about simplification and feeling a deeper family connection, then the 3 simple tips to connect at the end of the day shared below will help you get off autopilot when it’s most important, bring your family closer together…and might just save your sanity. Again, the day was passing by in a blur and I felt like my family was scattered in a million different directions. I was on autopilot, answering questions and getting things done. But on autopilot, we miss things like, “I don’t want daddy to go to work.” or “I got teased at school today.” We forget to take time to breathe and count our blessings. When your days feel hurried, taking time to slow down and connect with your family at the end of the day is important. The 3 tips listed below can help. 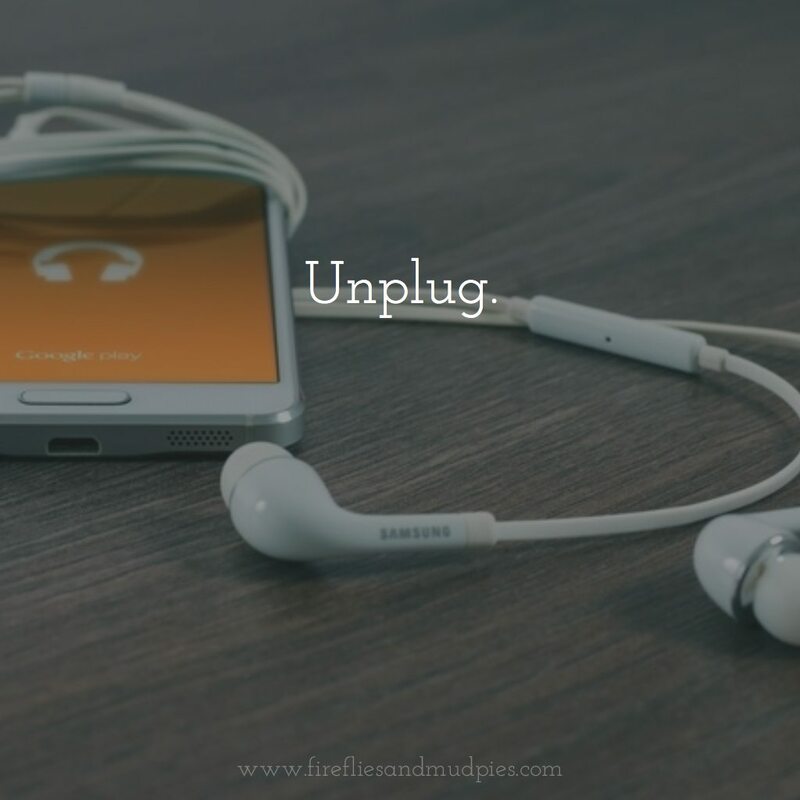 Often our devices are our escape. At the end of the day it’s tempting to want to check out and see what friends are posting on Facebook. We need our devices to check emails, make plans, and start the next never-ending to-do list. But they can wait. Really, they can. When we’re with our devices we are not present with our families. Setting aside an agreed upon screen free time at the end of the day, even just for an hour, can help the whole family feel more connected and grounded. Our son is only three, so book time as a family falls naturally into our routine at the end of the day. It would be easy though, as he gets older and is reading on his own, to have it become an individual activity. 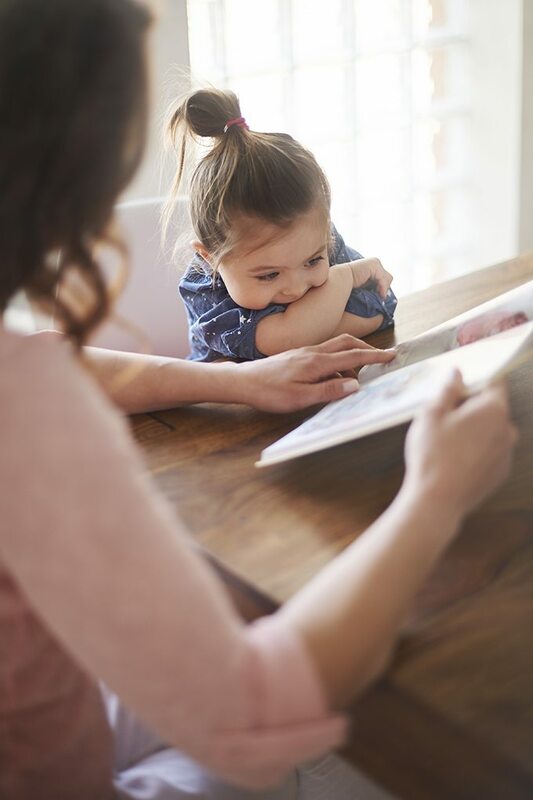 But reading aloud with older children and taking turns having them read to you is a great way to connect at the end of the day. And reading together has huge benefits for literary, language, and communication skill building. 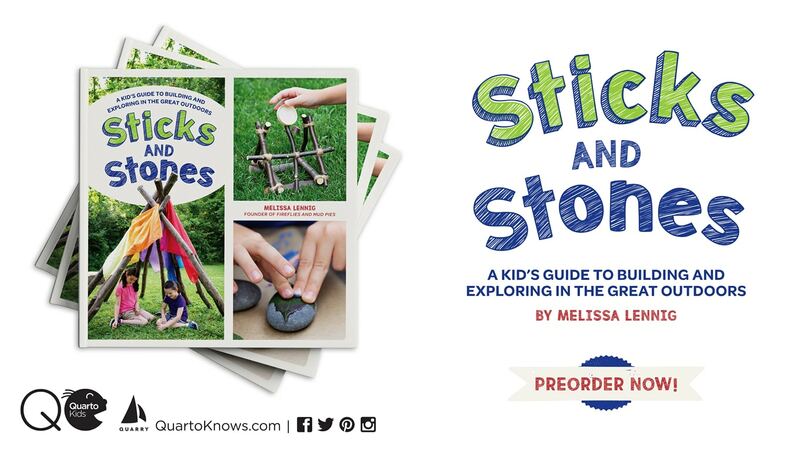 For inspiration, check out this list of 10 bestselling books for kids. 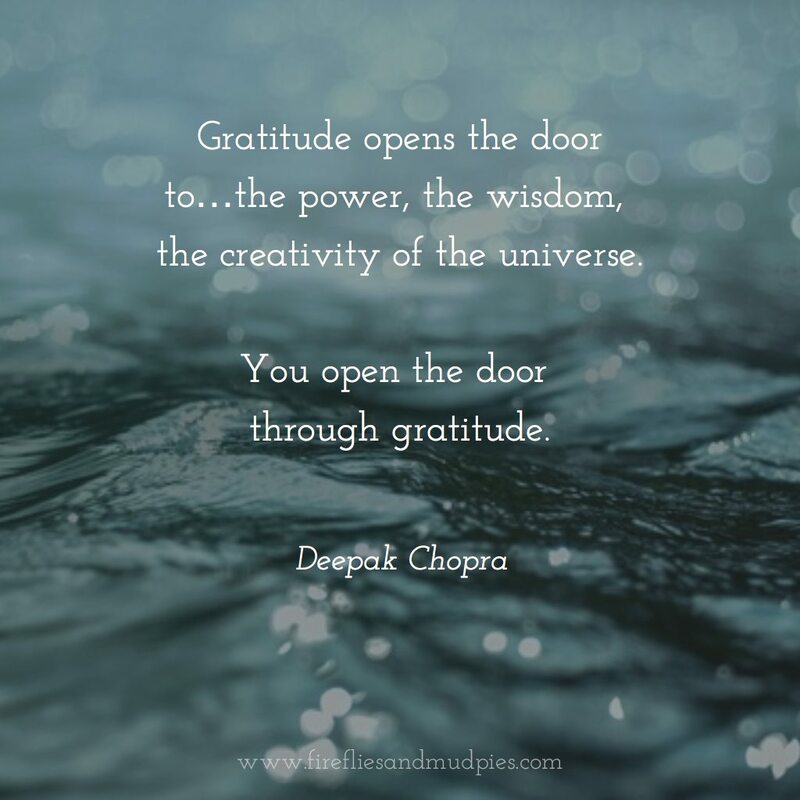 Verbalizing our gratitude opens us up to more opportunities for good things to come our way. I wanted to instill this principle from an early age and give us the chance to appreciate each other and connect as a family before bed. So we started saying our “thankful fors,” as my son calls them, shortly after he turned two. It seemed awkward at first and took a while for our son to say anything that actually made any sense. But we kept at it. And the night he said, “I’m thankful for Mama and Daddy,” our perseverance with the routine was certainly worth it. It’s also a nice way for my husband and I to appreciate the little things too, like making dinner and emptying the dishwasher, that often go unnoticed. Expressing gratitude for the good things in our lives, big or small, strengthens our family. RELATED: Cultivate an Attitude of Gratitude with Gratitude Stones. We all have times where we get caught up in day to day busyness. But it doesn’t mean we have to feel disconnected. So turn off the autopilot, set down the devices, grab a good book, and give thanks. Because at the end of the day it’s good. It’s all really good.